Have You Tried Fiverr | Aimee J. 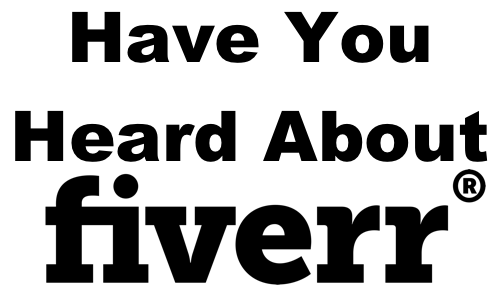 You've heard of the Dollar store before, now let me introduce you to Fiverr. Trust me, you will be happy you did. Fiverr is an online marketplace for freelancers of digital services. You can either sell or buy “gigs.” A gig is a job which usually begins at $5 (hence the name) but may cost more than that based on the gig-extras you purchase. 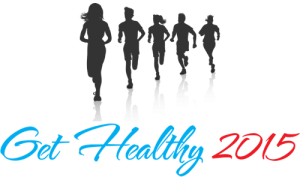 For example: I used fast_design on Fiverr to create my Get Healthy 2015 logo for $5. I then added the gig-extras of “Provide Editable and Printable Source files for your future use” ($20) for a total of $25. I had the design within 24 hours because she was fast, professional, and good. We had gone back and forth several times trying to find the right combination, but she did a great job in my opinion. I am definitely happy with the end result. Worried about ownership issues? Fiverr expressly address the issue of ownership of delivered products in their Terms of Service. Graphic designs are not the only things you can find on the site. The services on Fiverr range from having your own theme song made to having a virtual assistant. While there are many, many, many sellers of services on the website, please do not just buy the first gig you see that fits your needs. Check out the sellers reviews and portfolio. Make sure you're happy with their quality of work before hiring them. Also be sure to read the description for the gig and the extras. If you need something done digitally, take a look at Fiverr. It might just be what you need. OR if you're trying to make some money on the side and want to share your talents, take a look at Fiverr. NOTE: This links in this blog are referral links. For more information please see our Disclaimer.